Lying; this phrase is typically used to describe a person who lies about something or complains about things when there are no real problems present. Example: One of my employees called this morning and said that he couldn’t make it in for work because he’s feeling ill. While that may be, I think he’s crying wolf and really just wants a few days off. 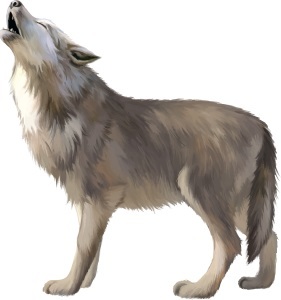 The origin of the phrase ‘cry wolf’ is believed to be from Aesop, a Greek fabulist who is said to have lived around the time of 620 to 560 BCE. He wrote a number of different fables known collectively as Aesop’s Fables. One of the stories credited to his name is called The Boy Who Cried Wolf. This story tells of a young boy who was given the responsibility of watching over some sheep for the night. The boy eventually grew bored with his assignment and thought it would be rather humorous if he pretended to be in danger, so he started to cry “wolf, wolf!” His plan worked, as the people nearby heard his cries for help and came rushing to lend their support. But they soon learned it was all a silly ruse. After this repeated a few more times, the people stopped listening to the boy. They no longer responded to him when they heard him yelling. Later, a real wolf showed up! Now the boy and the sheep were in actual danger, so he started to cry for help. But it was too late, because nobody would listen to him any longer. The point? When someone constantly lies, they can lose the trust of others, just as the boy in the story did. Thus, the phrase ‘crying wolf’ is thought to have originated from this story; it references the lying boy. My wife told me there was a tiny mouse running around in the kitchen. I was starting to think that she was crying wolf, that is, until I saw the furry rodent with my own eyes. My friend cried wolf about his TV, because he told me it was broken. But when I went over to his place and turned it, the thing worked just fine. Note: Hello, person reading this. The above is an example of an idiom related to animals, and there are plenty more animal idioms on here that you can look at, if you’re interested. there are some for dogs, cats, horses, birds, and so on. Anytime a new animal related expression gets added, it will also be included on that page.